Banners.com printed a vinyl banner for the band Aces High. They are a tribute to Iron Maiden. Below is a photo of the banner artwork. 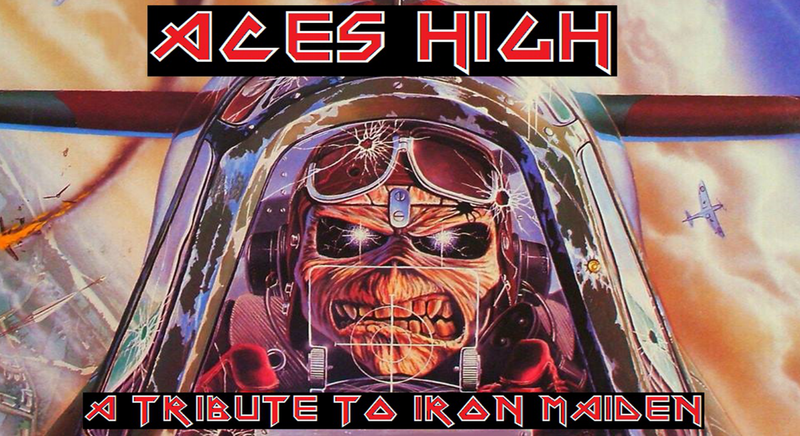 "You guys just recently made a banner for my band, Aces High-A tribute to Iron Maiden. I'm contacting you because I just received my banner and I just want to say THANK YOU! Your banner was down right AMAZING! The quality of your product is INCREDIBLE! I was absolutely BLOWN AWAY! All of my bandmates totally love it! And not to mention your customer service and your cost....HOLY ****....That's all I can say about banners.com. I will say this...you now have a lifelong customer...with me and my band! Again THANK YOU BANNERS.COM!" Thank you for ordering from Banners.com! We're happy that you love your banner! If you need a banner for your band, visit our band backdrop banners page. You can browse our templates, upload a file, or have one of our graphic designers help you with your artwork.